This is a link to the Staffordshire Moorlands Dog Warden Service. SMDC Tel no: 0345 605 3014. 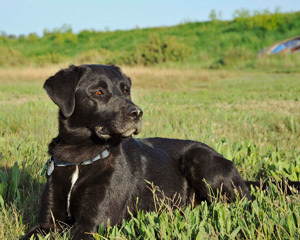 It gives information regarding what to do if you find or lose a dog plus hours of operation. Stray dogs found within the Staffordshire Moorlands area will be taken to the City Dogs Home, Brookhouse Lane, Bucknall, Stoke on Trent,ST2 8ND. Tel: 01782 304130. If you find a dog you need to take it there also. To notify us of or enquire about lost dogs and cats so that we can post information onto our website or facebook pages for you, please contact the Cheadle & District Animal Welfare Society Lost/Found Register on Tel: 01889 564045. Please remember to let us know if your lost pet has returned home safely so we can keep our records up to date. Micro-chipped animals can be identified and if lost can be quickly returned to you. If you move home or change your telephone number, PLEASE remember to inform the ‘microchip people’. Please get in touch with us by email cheadleanimalwelfare@hotmail.co.uk. Alternatively you can telephone 01889 564045 or 01335 390369. 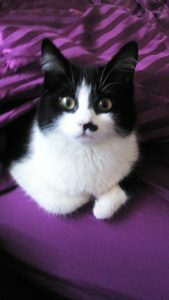 Penny, a beautiful black and white cat, has been missing from her home in Freehay since Tuesday 9th April. 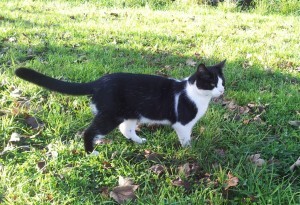 She is spayed and microchipped and has a distinctive long white sock on her back leg. Her owners are very worried and need your help to try to find her. If you live in the Freehay area please check your sheds and garages and share her details to help find her and get her back home. If you have any information please ring 01538 722531. 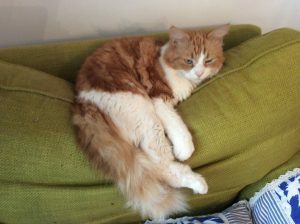 Dy lan a short haired ginger and white cat has been missing since Saturday 4th August. His favourite hunting grounds are to the west of Alton. A fit three year old sporting a distinct half mask of ginger on his face. If found could you contact me on 01538 703823. Thanks in advance. 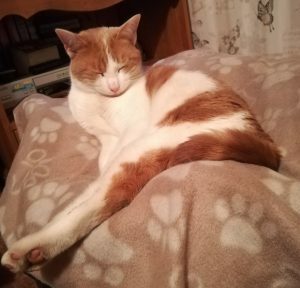 Missing from his home in Grindon is Robbie a beautiful 3 year old light ginger and white neutered tom. He was last seen on Friday 6th July. Robbie lives very near to the Manifold Valley which is one of his favourite hunting grounds. He is microchipped. Could people in the vicinity of Grindon/Manifold Valley please check garages, sheds etc. and pass on any information to his concerned owner on 07855 673061. Missing from the Egginton area of the A38 (south bound) between Willington and Burton on Trent. Post Area DE65. Let out in the garden at lunchtime with 2 other dogs who returned when called a short time later but Tinkerbell didn’t. She is timid in public and has a broken tail at the top so her tail kinks, she is very small for her breed and looks like a very young dog despite being 6 years old. She may have been taken for breeding as doesn’t look her age because of her size. Tinker is timid around strangers and young children. Our other 2 dogs and cat are missing her terribly. She is our baby and we are devastated please help find her. There is a reward offered. Please phone 07526995322 or 07977447747 with any information. 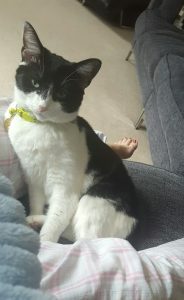 Dylan, black and white male cat has been missing from his home in Gnosall near Stafford for about a week (as of 9/2/18). He moved to the area from Stafford before Christmas. He is microchipped. Please check sheds, garages etc in the area and look out for him in Gnosall and Stafford. Any sightings please phone Jacqui on 07922 135373. 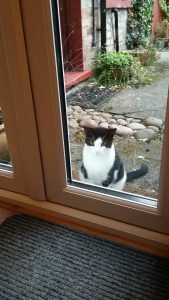 Charles has been missing from Consall for a month (at October 2017). He is smoky grey, with no white markings at all, neutered tom, 3 years old. He is microchippc harlieed. If you have any information about him please contact cheadleanimalwelfare@hotmail.co.uk. 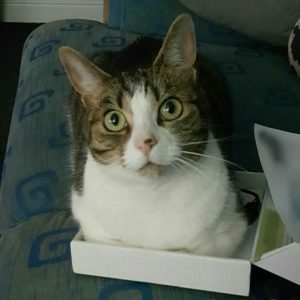 Charles is a greatly loved cat and we need to know where he is. 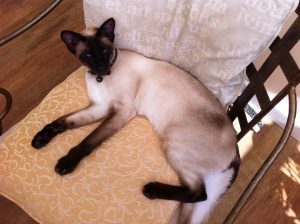 Milo a chocolate point Siamese has been missing from his home in Alton since Wednesday 12th July 2017. He lives near to Alton Castle and it is most unusual for him to go missing. He is only 2 years old and is neutered and microchipped. Please check sheds and garages in case he has been shut in and if you have any information please ring his worried owners on 01538 702185. Please share as we need to get this boy home as soon as possible. He is greatly loved and missed. Kylo and Rey are 7 month old brothers, all black, both neutered and microchipped. One went missing on Friday night 14th October and the other one Monday night 17th October. Last seen at home in Stafford (near to Walton High School). Please telephone 07977 405642 with any information. 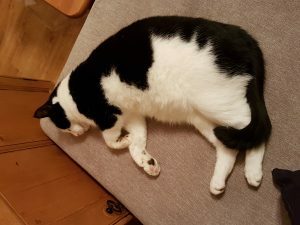 Amelia is a very pretty black and white cat who has been missing from her home in Doval Gardens , Tean since the afternoon of Thursday 6th October. She is 3 years old and rather timid. She never usually leaves her garden. 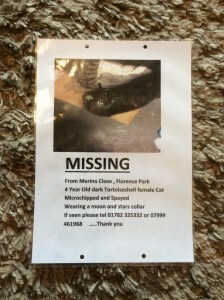 She is a stocky cat, is wearing a collar and is microchipped. If you live in that area please check your sheds and garage and if you have any information please ring 07534 328 639. Juniper has been missing since Sunday evening 31st July from the Sidney Drive area of Kingsley Holt. He has only just moved to this address and escaped through the door. He will not know be familiar with any of the surroundings and probably can’t find his way back to his new home. He is a white cat with ginger patches,10 years old and neutered. Not microchipped. 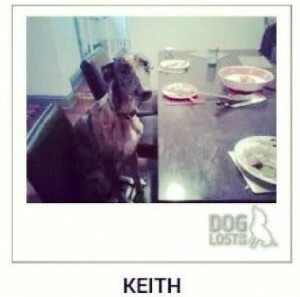 His owner is desperate to be reunited with him. Please check garages/sheds and gardens in case he is hiding- frightened of his situation. Please tel Eva with any information about his possible whereabouts on 07443455403. 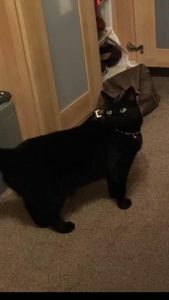 Smudge has been missing from her home along Churchill Road, Cheadle since Saturday 23rd July. 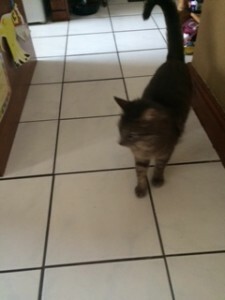 She is a 14 months old long haired grey tortie; she is spayed and microchipped. Could neighbours please check garages, sheds and greenhouses and ring 077656 80461 with any information. 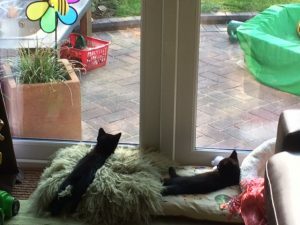 It is most unusual for Smudge to go missing – her twin sister is missing her very much. 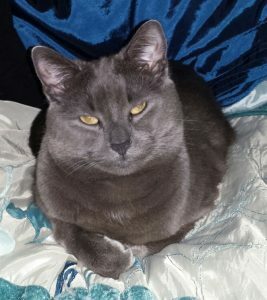 Tinker a smokey grey neutered tom has been missing from his home in Park Drive, Cheadle since 1 July 2016. He has only just gone to live in Park Drive so is unfamiliar with the area. He is microchipped. If anyone has any information on his whereabouts please phone 0711 007 072. 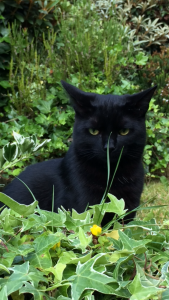 Sindi, missing from Seaford Street, Stoke, last seen on Liverpool Road in Stoke. 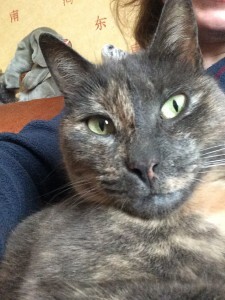 Missing since 28 January 2016 from Florence Park area, Kitty a dark tortoiseshell cat, may be making her way to Cocknage. Wearing a moon and stars collar. 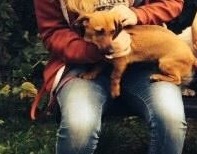 Any sightings please phone 01782 325332 or 07999 461998. 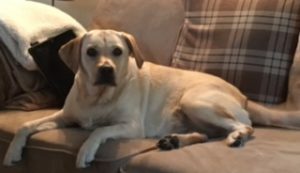 Flossie was last seen during the early hours of Sunday morning 21st February at her home along Cecilly Terrace in Cheadle. It is most unusual for her to be missing for this long. She is a grey tortie and around 2 years old. Timid with people she doesn’t know. Could neighbours please check garages, sheds etc. – anywhere Flossie may have got locked in. Please telephone 07956363075 with any information. 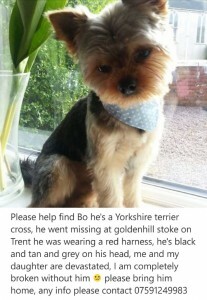 Missing from Goldenhill area, Bo, Yorkie cross. Any sightings please phone 07591 249983. 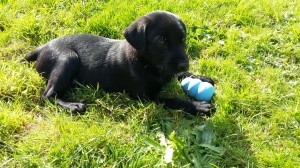 10 weeks old Lenny was last seen at his Farm in Freehay on Sunday 11th October.He was left outside in a grass and decking area that was fenced off with chicken wire round to secure him in, but he managed to escape. Either that or he has been taken. He was still there at 11:30am but wasn’t there at 14:00. He lives on a farm in Freehay and they have checked all the areas over and over. The family is beside themselves and desperately want him home, Please contact us if you have information about where he may be. 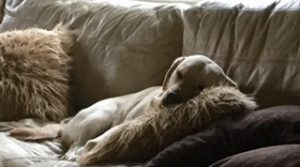 Hugo is two years old and a much loved family pet, missing since 1st October 2015, from the Uttoxeter Demontfort Way area. Please contact us if you have any information about his whereabouts. 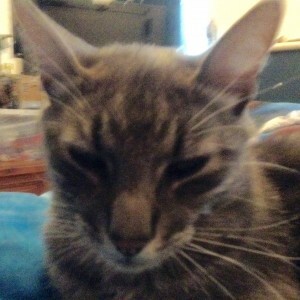 Sam, young grey neutered tabby cat (no white on him), has gone missing from his home in Barnfield Road, Tean. Last sighting was Saturday morning, 12 September. He is not wearing a collar but is microchipped. Please check sheds, garages etc in case he is stuck. Any sightings please phone Sharon on 07912 020556. She and her little boy are very worried. 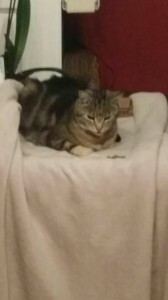 Tibby is a neutered 4 year old tabby and was last seen at his home near to the Royal Oak in Dilhorne on Wednesday 9th September. Please telephone Tony Brown on 01782 388265 with any information. 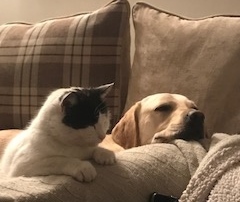 George went missing from his home in Church Leigh on Friday 21st August. 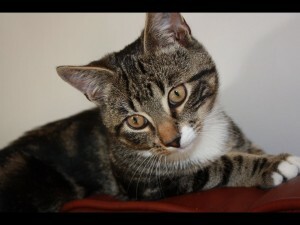 George is 12 months old, neutered and microchipped. Please telephone 0777 8520 527 with any information. 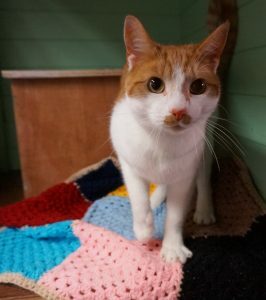 Honey an unneutered, rather timid, ginger and white tom cat has gone missing from his home in Arundel Drive, Cheadle,. He has not been seen since beginning of August 2015. If you know of his whereabouts please ring 07753 109 123. 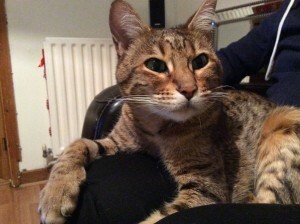 Tallulah/Lulu, Bengal cat has gone missing. She went missing from the dilhorne area on 11th February 2015. She’s very small and slim even for a regular female cat (this is her natural size). She has green eyes, leopard type markings on her coat. With a spotty belly. The pads on her paws are black. She’s is name Tallulah but answers to lulu. She is nosey so could have got into someone’s car/van or shed. Please check. She is very much missed and we desperately want her back home. She’s doesn’t have the same sounding meow as a regular cat. Please get in touch with any news 01782 388143. Mr Tiddles has been missing for about three to four weeks. From Moddershall area, near Stone. He is very very friendly. He isn’t microchipped yet. 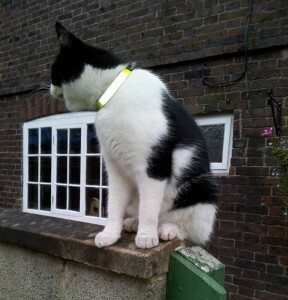 He is black and white cat with a bright yellow collar. Please contact us if you have any information at all about where he may be. 01889 564045. Tilly, a much loved family pet – a small Yorkshire Terrier. She is wearing a brown flea collar. She went missing on November 1st from Cranberry Lane /Coronation Avenue, Alsager. She will be very scared. Microchipped. Please contact Jan with any information /sightings. She should be reported to the dog warden if found too. Reward for the return of Tilly. Telephone 07919382847 / 07967606184. 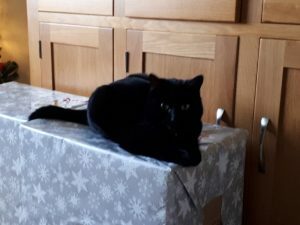 Salem – 2 year old, skinny, black tom with small triangle of white hairs on chest – neutered and microchipped. Missing from his new home along Uttoxeter Road, Upper Tean since Wednesday 12th November. 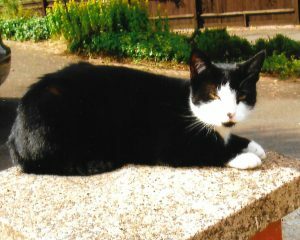 Please check garages, sheds, greenhouses and telephone Abigail with any information – 079 522 44435. Missing from his home in Crakemarsh near Stramshall/Uttoxeter. 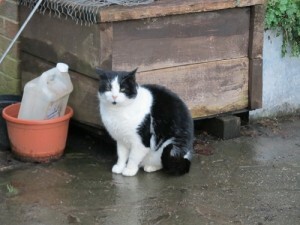 He is a large black and white, short haired, neutered tom; 11 years old and very friendly. Please phone 01889 564045 if any sightings. 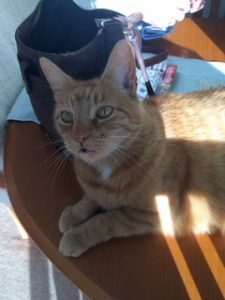 Wilf a ginger neutered Tom with white paws is missing from his home in Boxwood Road, Tean. He was last seen on Tuesday 7th Ocotober. He is quite distinctive as he has a fluffy tail. It is uncharacteristic for him to go missing so please check your sheds and garages in case he has got himself shut inside. If you have any information please ring 01538 723508. Molly- a Liver and white springer spaniel. Last seen at home in Cellarhead on Wednesday teatime 3 Sept.
Karna ran off in the thunderstorms during the morning of 19 July. She is a 2 yr old black Lab X and ran away from Hopton (near Stafford). Karna is not micrchipped but was wearing a black collar and tag – unfortunately the tag has the incorrect phone number on. The owners name is Julie and her contact number is 07887 663737. Please contact her with any information. 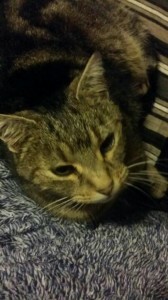 Tilly disappeared on Sunday 1st June from Prince George Street, Cheadle. She is a chocolate brown/grey tabby. 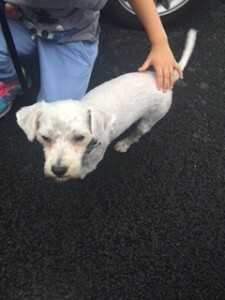 Although she has no collar, she is microchipped and can be identified by a vet. She is very friendly and inquisitive so she may have entered your house, but could have become trapped in a shed, garage or outbuilding. She is greatly missed by her family. Please contact us if you have seen her or have any information regarding her whereabouts. 01538 757147 or 07739 508336.